[Bible Question] …The question about salvation keeps popping up in my mind. I don’t know if I am really saved. I am so confused about all the false doctrine I received over the years that I don’t know what’s right anymore. Where do I start? Are there any verses which would condemn you such as Mt. 5:28,29; 1 Cor. 6:9,10; Eph. 5:5-7; Rev. 21:8; etc. Do you have LOVE IN YOUR HEART for Christians. Do the unredeemed people around you hate you because of your faith in JESUS? The Spirit himself testifies with our spirit that we are God’s children (Rom 8:16). 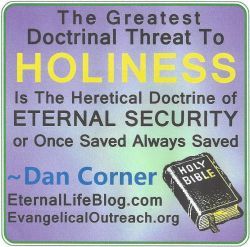 Though this is true it seems the devil can cause confusion with this, unless a person is firmly grounded in Scripture. Because the righteous can die spiritually after getting born again, you must guard your heart and keep yourself pure. Many who do get saved, afterwards fall away. 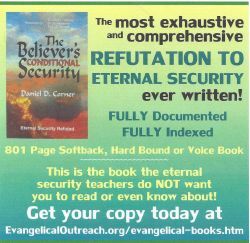 You must endure hatred to the end to be saved [enter God’s kingdom], Mt. 10:22; Heb. 3:14; Rev. 2:10,11. It seems that the so-called church of our day has been gutted of truth and it has been replaced with a super flood of false teaching! Jesus warned there would be many false prophets. YOU must get in the Bible directly and learn its message for yourself. Until you do you will not know what to believe, which could be spiritually fatal. Do NOT merely listen to TV and radio teachers, because there are so many conflicting doctrines. ONLY the Bible is 100% TRUTH. Remember also God gives grace [favor] to the HUMBLE. Humbly and sincerely go to God repentantly and ask him for mercy and forgiveness to follow him in this sin-loving, truth-hating world. Draw near to him and he’ll draw near to you. Hopefully, this answers your question. 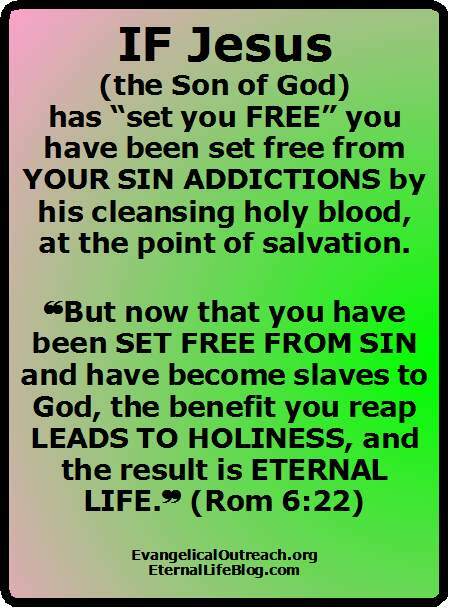 This entry was posted in I Don't Know If I Am Really Saved, Once Saved Always Saved and tagged bible answers, how can I know I am saved, salvation assurance, salvation security, sin addictions. Bookmark the permalink.